Natural squirrel tail hair, soft and close fitting your skin. Black wooden handle, good handle feeling. 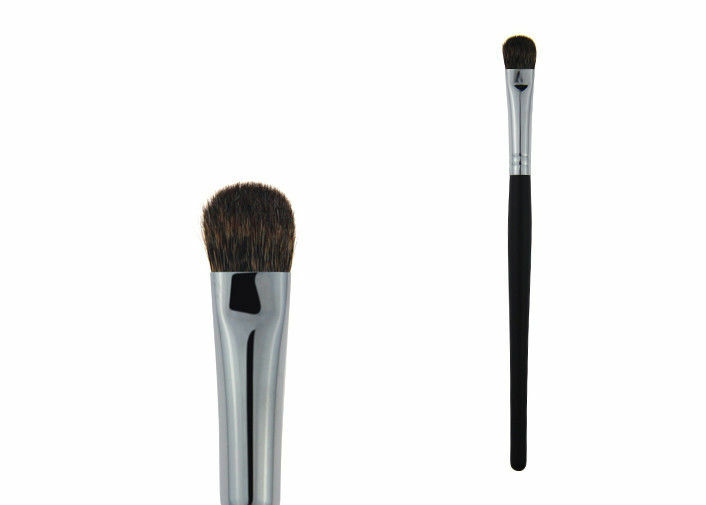 Competitive prices wood handle squirrel tail hair makeup eyeshadow brush. Shipping method can meet your requirement, good shipper work for you. 1. We can do the product with different color, size, material, shape as you request. 2.To develop new products according to your supplied samples or designs. 3.As an experienced supplier we package goods in carton box, which would prevent your items from some unexpected damages efficiently during delivery. 5.To reference our new designs or products to you. 6. We would let you know the tracking number once we’ve sent out your products.